With the kids back in school and daylight savings time coming to an end, it could only mean one thing: Fall is on its way! Yes, soon the leaves will start to change colors, football tailgate parties will be in full swing, and the fall racing season will commence. 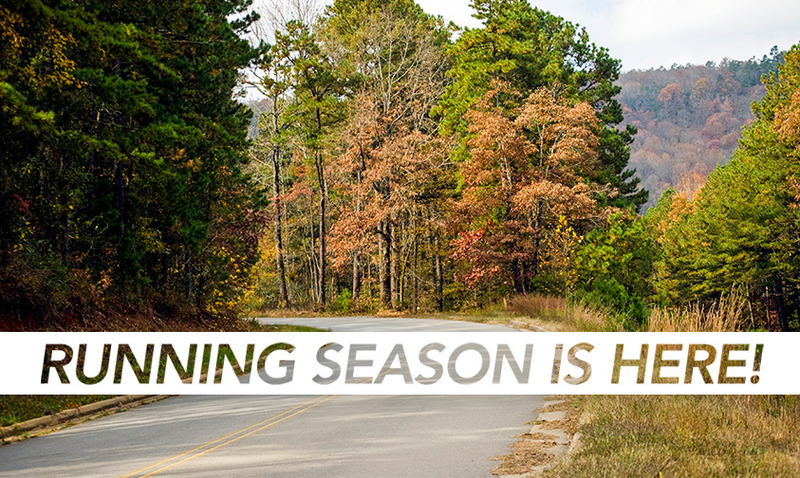 Cooler temperatures of the fall and winter months offer great conditions for road races. In fact, one of the most popular 5K events across the country, the Susan G. Komen Race for the Cure, hosts hundreds of thousands of runners, walkers, and joggers each fall; many for the very first time. Host a running group. There are several “Couch 2 5K” apps available, however one of the biggest mistakes first-time runners make is trying to go it alone. Offer to host a 5K training session three times a week. Plan for 20-30 minutes of training time and another 10 for warm-up and cool down. Post signs to advertise the dates & times and have members sign up to participate. This will create comradery right away and help them get off to a great start. Remind them to change up their terrain. It is possible to train for a race entirely on the treadmill. But when prepping for race day it is a good idea to try a few runs outside or to add an incline at some point on the treadmill. As you might suspect, running on the ground vs. the treadmill has a very different feel. When on the road, the treadmill belt isn’t running under your feet and you are forced to work a bit harder to propel forward. Remind your treadmill trainees that it is not uncommon for them to feel sore a bit differently after their first few runs outside. Educate members on proper stretching & warm up techniques. This is a great time of year to tap your fitness director or lead personal trainer on the shoulder and ask them to host a flexibility workshop. Most people don’t spend as much time on flexibility and recovery as they should. Flexibility training is most important for beginners to avoid injury. However, all of your members could benefit from taking some time to learn some of these techniques. Remember, workshop attendees are potential new clientele for personal trainers and a perfect audience to offer free fitness assessments. Remind runners to change up their shoes. When training for races it is a good idea to have at least two pairs of running shoes in the rotation. Though this type of training is what these shoes are built for, it is a good idea to switch out your footwear to avoid overuse injuries such as plantar fasciitis. Give them something to train for. Find out which races are taking place in your area this fall. Offer a list or calendar of upcoming events for your members. Simply providing them a list of local races might be the very thing that motivates them to start training in the first place. Whether your members are prepping for fall racing season for the first time or the tenth time, these are just a few ways that your club can offer encouragement and support.